Rakesh Sharma, India's first cosmonaut, remembers his time in space and his training in Russia on the 50th anniversary of Yuri Gagarin's maiden space voyage. Half a century ago, the 27-year-old Soviet cosmonaut Yuri Gagarin created history by becoming the first man to journey into space. As Russia and the world celebrate the 50th anniversary of the first manned space-flight by Gagarin, it’s important to remember that it was not only a giant leap for mankind, but also marked an all-time high for the Soviet patriotic pride in the Cold War period. In essence, April 12 was not only the day when mankind achieved what was previously thought impossible, but also the culmination of decades of Soviet space research that had already launched the first satellite in October 1957, the first animal to orbit the Earth (Laika, the dog) in November 1957, and numerous other milestone flights and satellites. Gagarin’s flight was, importantly, one of the biggest ‘victories’ for the Soviet Union in the Cold War Soviet-U.S. Space Race – a fierce contest for supremacy in outer space exploration. In other words, this was a battle of giant egos and both countries burned millions of dollars in research to be the first to conquer some tiny part of the final frontier. 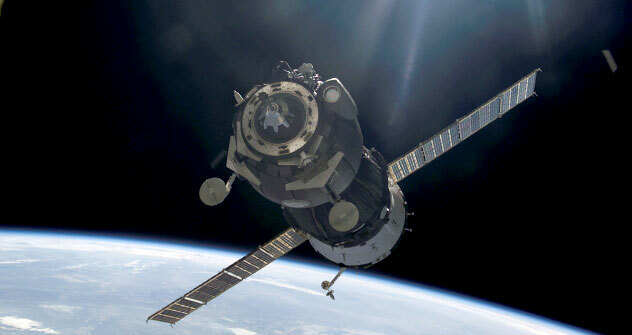 Russia has earmarked about $7 billion for space programmes in 2011, Prime Minister Vladimir Putin said on April 8 during a conference on the future of Russian space exploration. Russia would develop a whole range of new capabilities over the next five years, he said. "We need new-generation space equipment, featuring greater reliability and service life," he said. This requires a ‘deep modernisation’ of space industry enterprises, as well as significant investment in research and development programmes, he said. Putin directed the space agency Roscosmos, in conjunction with the Russian Academy of Sciences, to draw up long-term space research plans by August this year. "We need to expand our presence on the global space market, which, has grown 150% since 2003 and is now worth around $200 billion. That's big business," Putin said. Roscosmos recently said Russia would build a base near the Moon's pole by 2030. So frenzied was this race that ethics were often ignored. For instance, to do something grand for the 40th anniversary of the Communist Revolution, the Soviets hurriedly launched Laika into orbit on a spacecraft that was never designed to return, thus leaving her to die. Neil Armstrong’s 1969 moon landing was yet another spectacular moment and this time, the Americans had scored. The Race with the capital R, however, soon started to calm down and came to an end in 1975 with the joint Apollo-Soyuz Test Project that helped ease relations between the two then superpowers and ushered in the era of collaborative projects. India’s moment of space glory came in April 1984 on one such collaborative mission. Soyuz T-11 took the first (and only) Indian cosmonaut, Air Force pilot and 1971 India-Pakistan War veteran, Wing Commander Rakesh Sharma, on an eight-day mission to the space station, Salyut-7. While all of us remember his famous citation of Muhammad Iqbal’s poem, “Saare jahan se accha Hindustan hamara”, this historic moment, too, crowned months of training that the Indian astronaut had to undergo. “We got there on 28th October 1982 and the training went on for 18 months – more importantly two Russian winters,” Sharma recalled. The training was in Russian so he had to learn the language as well. “My Russian teacher said that I should find it easy because Russian is very similar to Sanskrit but that didn’t necessarily help because I don’t speak any Sanskrit,” he chuckled. Sharma, who had moved with his family to Moscow Region’s Star City for the duration of the mission, remembers his time in the Soviet Union fondly. He found Russians to be “simple, emotional and affectionate” like Indians but noted that the times were different as the iron curtain was still up, so it was mostly work and “sanctioned social contact”. Sharma felt the Russians would have liked more interaction, if it would have indeed been possible. Sharma described his time up in orbit as “emotional” and “full of wonderment”, but underlined that he understood his responsibilities towards the success of the mission, and did not let his curiosity get in the way of his professionalism. Speaking of the future of space exploration, he advocated a collaborative approach, not only because it is “economical”, but also because it would help dissolve “narrow national interests and identities” to focus on the future of the planet as earthlings. Concerned about energy security and unsustainable development, Sharma said there is a need to develop the Moon, and later possibly Mars and other planets to ensure a steady supply of resources. He also praised the Indian Space Research Organisation’s approach of focusing on sharing the benefits of space exploration with the common man.